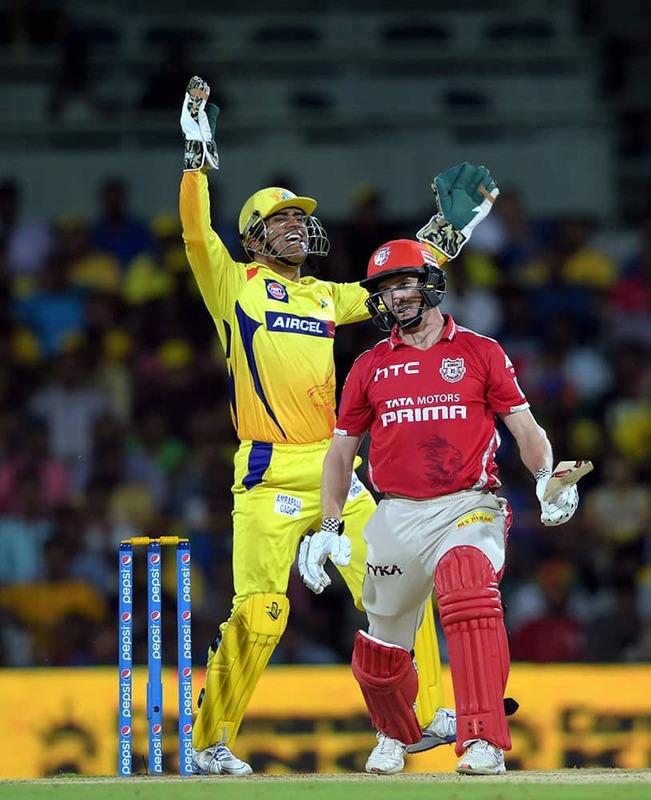 Chennai Super Kings’ skipper MS Dhoni celebrating for the wicket of Kings XI Punjab Skipper George Bailey during the IPL-2015 match at MAC Stadium in Chennai. Kings XI Punjab player Anureet Singh celebrating a wicket of Chennai Super Kings player D Smith during the IPL-2015 match at MAC Stadium in Chennai. 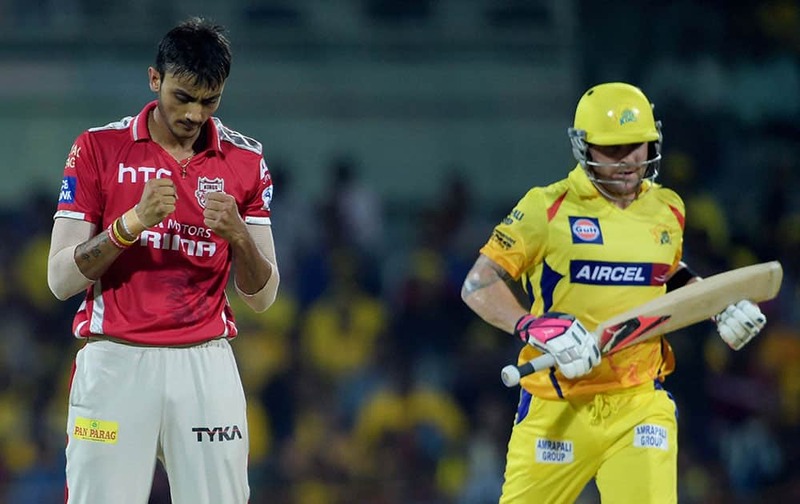 Kings XI Punjab player Axar Patel celebrating for a wicket of Chennai Super Kings player Brendon McCullum during the IPL-2015 match at MAC Stadium in Chennai. 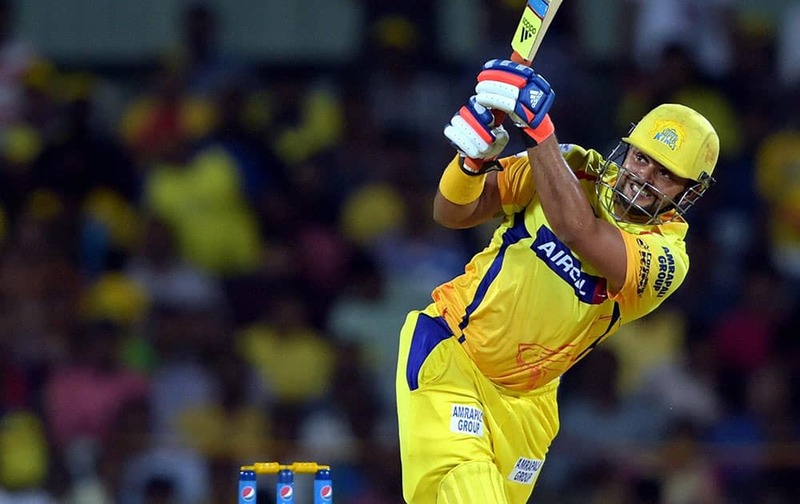 Chennai Super Kings’ player Suresh Raina plays a shot during the IPL-2015 match against Kings XI Punjab at MAC Stadium in Chennai. 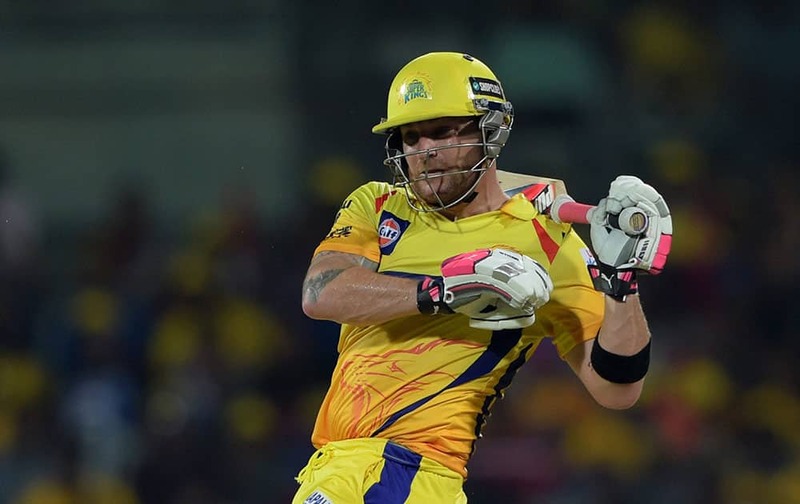 Chennai Super Kings’ player Brendon McCullum plays a shot during the IPL-2015 match against Kings XI Punjab at MAC Stadium in Chennai. 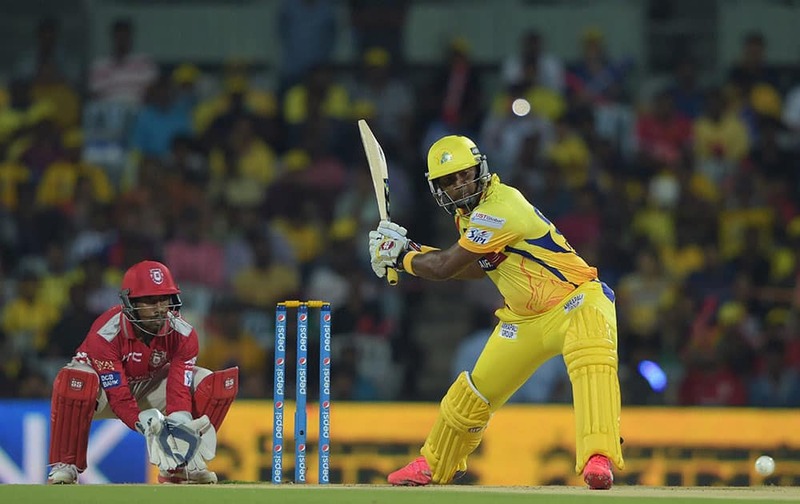 Chennai Super Kings’ D Smith plays a shot during the IPL-2015 match against Kings XI Punjab at MAC Stadium in Chennai.